This is a 1898 ad for a Santa Fe Railway - California Limited Train! The size of the ad is approximately 6.5x10inches. 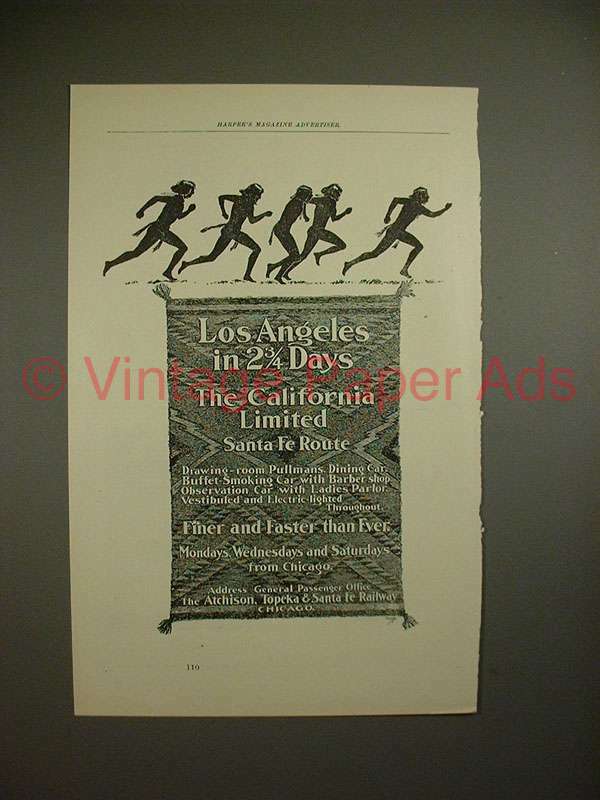 The caption for this ad is 'Los Angeles in 2 3/4 Days The California Limited Santa Fe Route' The ad is in good overall condition, with some light edge wear on the right. This vintage ad would look great framed and displayed! Add it to your collection today!